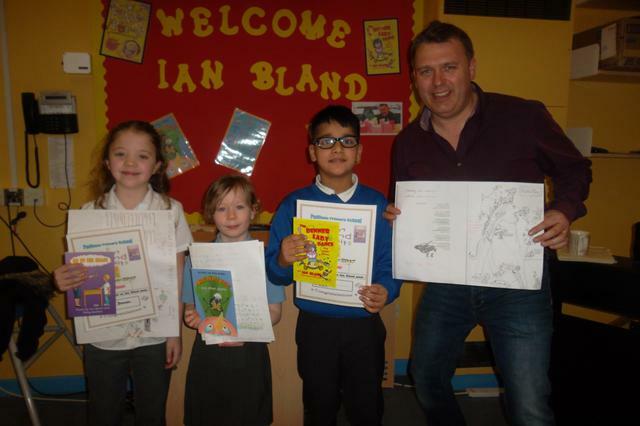 As part of our celebration of World Book Day 2019, we have invited poet Ian Bland to spend the day in school on Wednesday, 27th February. 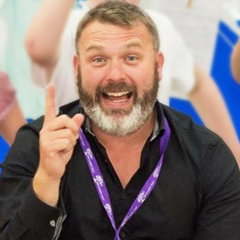 He will be delivering poetry workshops throughout the school and finishing off the day with a presentation of the children's work to family and friends. 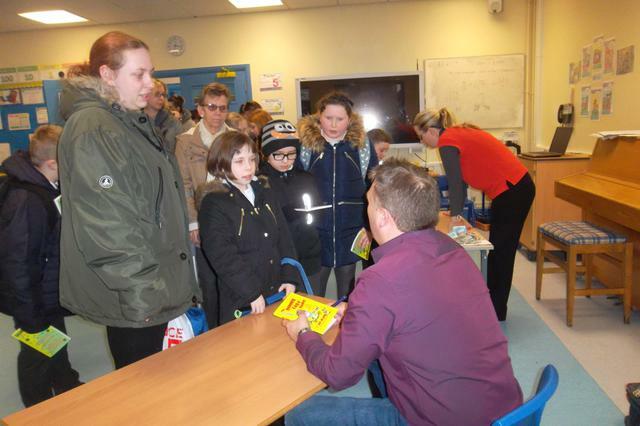 At the end of the day, he will be selling signed copies of his books in the small hall so come along and meet him! All books are £5.99 each. The theme for our celebrations this year is Silly Stuff and Nonsense and we have poet Ian Bland coming in to kick start the week. On Thursday, 7th March, children are invited to come to school dressed up as characters from books or in keeping with the theme: clothes can be worn inside out, back to front or in a mixture of styles such as football top, wellies and pyjama bottoms. We are also running a Book People Book Fair from Monday 4th March so come along and grab some fantastic books at great prices! 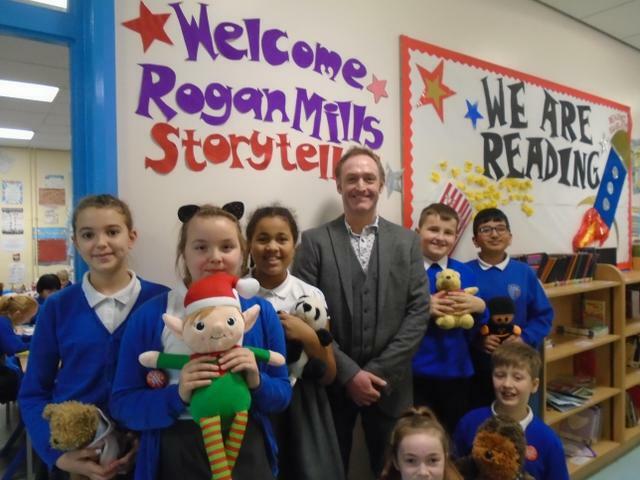 As part of the Lancashire We are Reading project, Storyteller Rogan Mills spent the morning in school entertaining the children with a mixture of stories, rhymes and games. 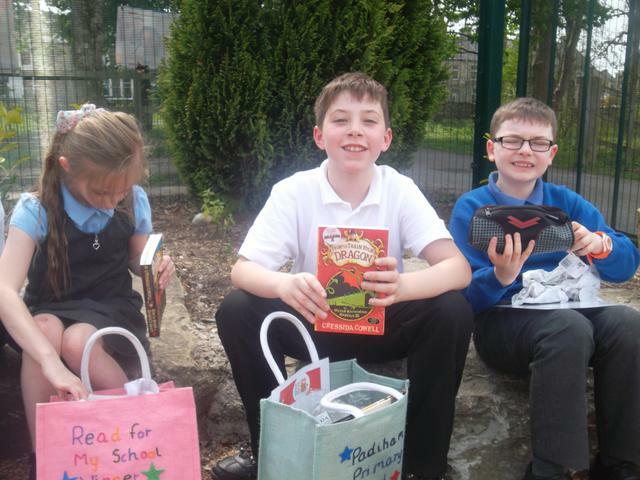 The aim of the session was to encourage children to read for pleasure and to spend time snuggled up with a book. 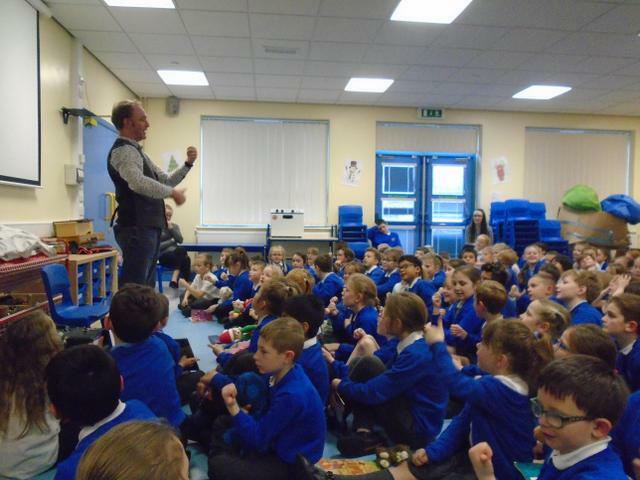 The children really loved the storytelling activities and can't wait to meet Rogan again. 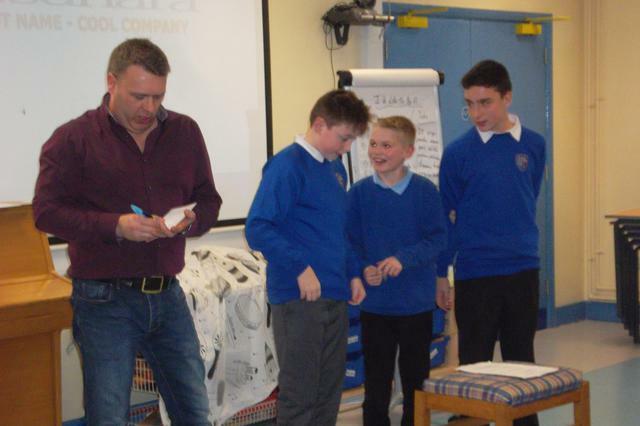 Last week, our Year 6 children were invited to a writing workshop with the author Billy Bob Buttons. 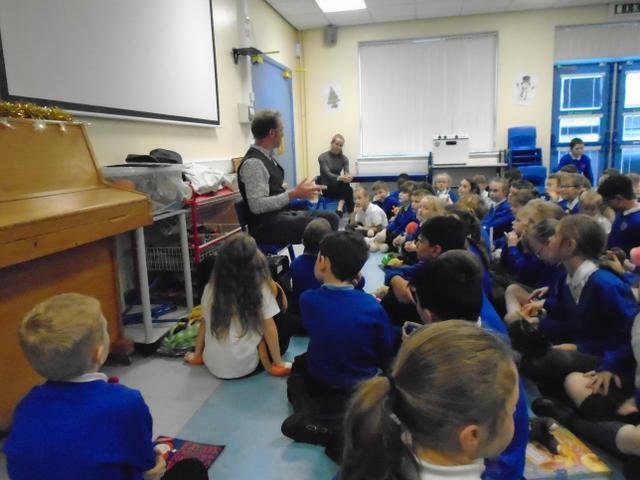 The children really enjoyed finding out how Billy creates characters for his stories and how similes can be used to bring the characters to life. 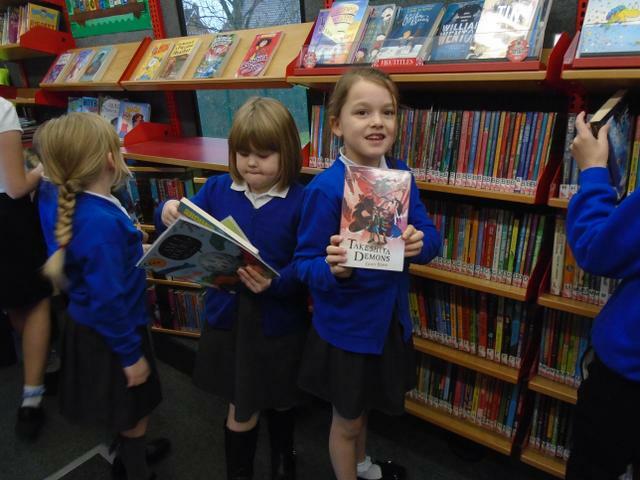 Children from Years 5 and 6 have chosen some fantastic new books to add to our library. Keep on reading! 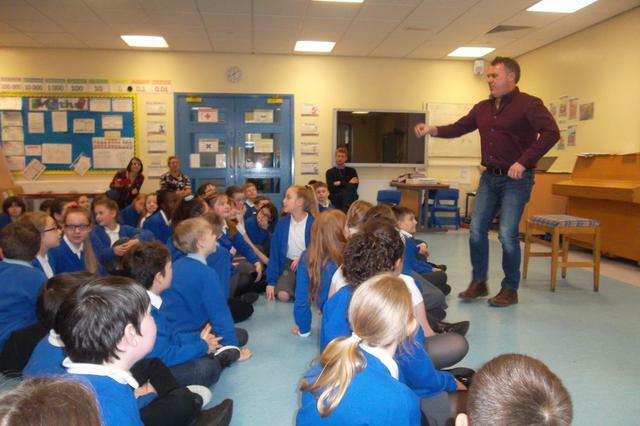 As part of the Lancashire We are Reading project, Fiona, Cody and Ellie from Years 3 and 4 were lucky enough to attend a fantastic author and storytelling event at Turf Moor last week. 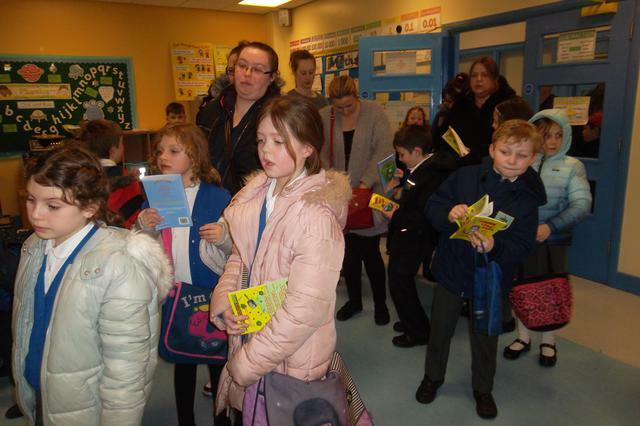 It was a brilliant event and the children really enjoyed their day of reading. 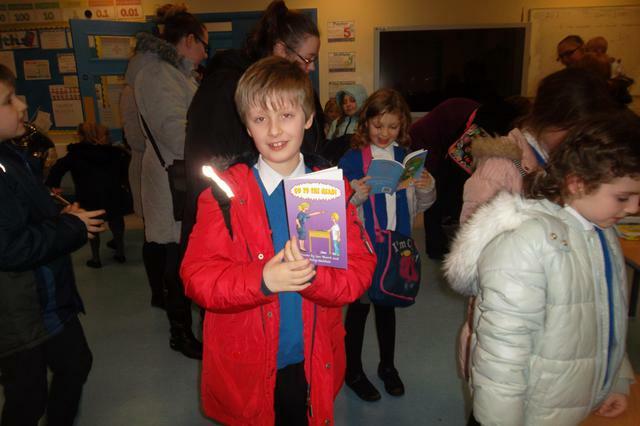 Author Sarah Roberts and storyteller Rogan Mills delivered fun-filled workshops and in addition, the children had a guided tour of the stadium and grounds. 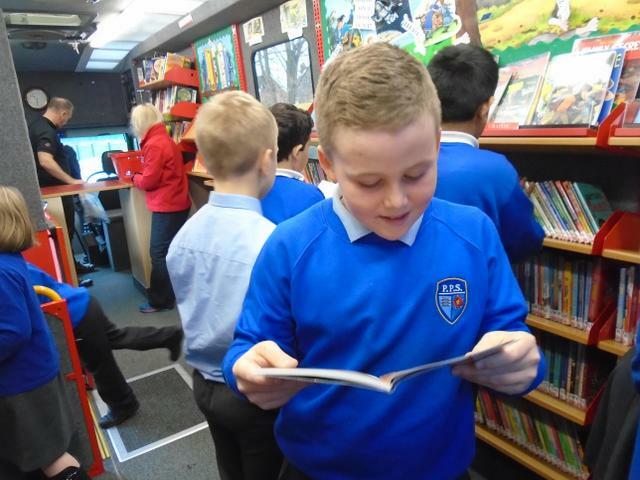 As part of our subscription to the School Library Service, children were able to spend some time having a look around the Book Bus. They chose some fantastic new books to add to our library. 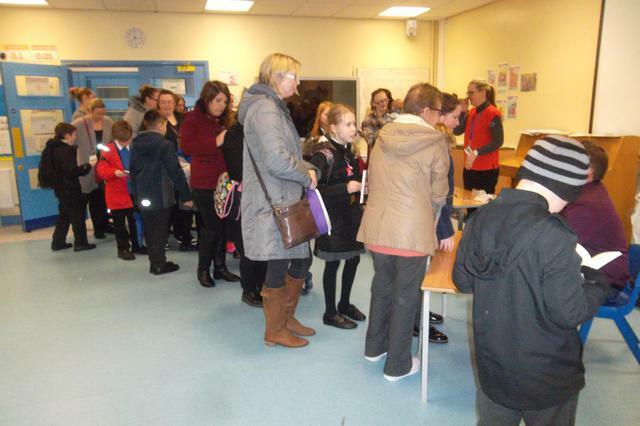 The FBA is an annual book event designed to encourage children to read for pleasure. 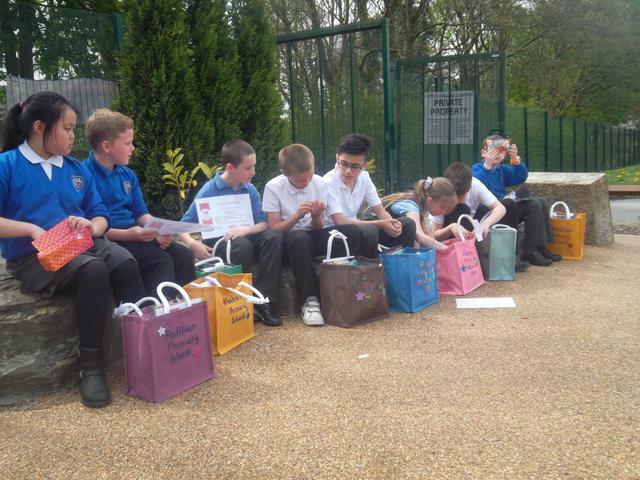 Children aged 9-11 are challenged throughout the year to select the story books they consider the best, through a range of creative activities.The event runs from September to May. 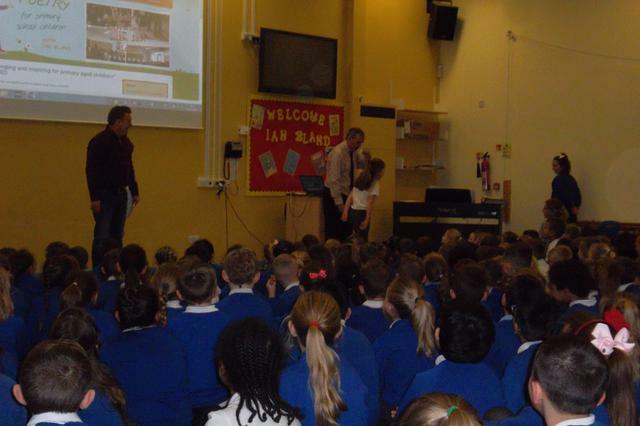 Author Philip Reeve and illustrator Sara McIntyre opened this year's event with some inspiring storytelling and wonderful artwork - a fun-filled morning to launch this year's FBA. 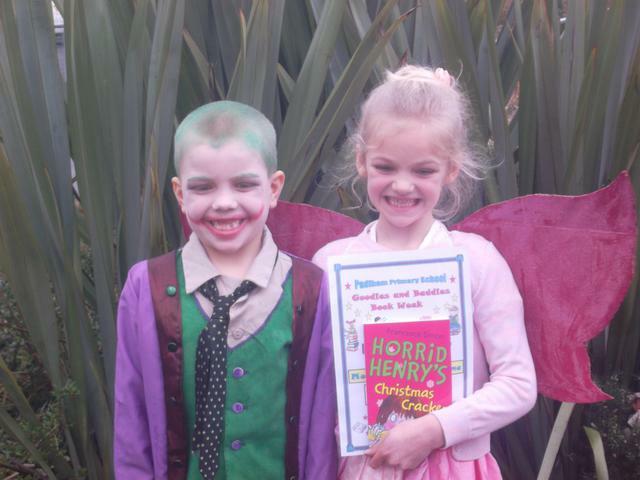 This year's Book Week was based on the theme Monsters. Magic and Mystery. 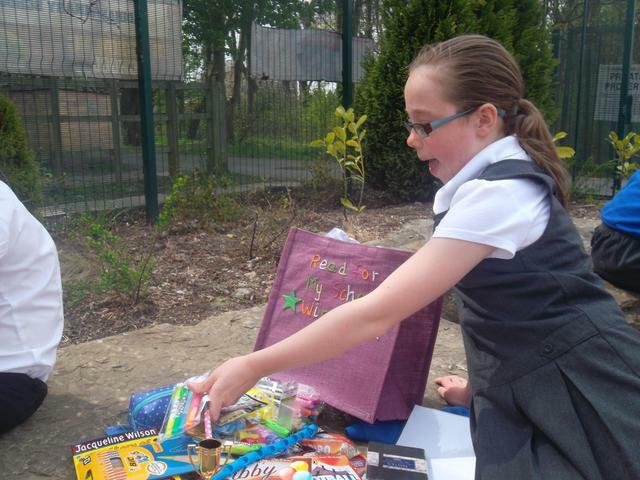 To promote reading for pleasure, every class in school took part in a range of fun-filled, cross-curricular activities based on the theme. 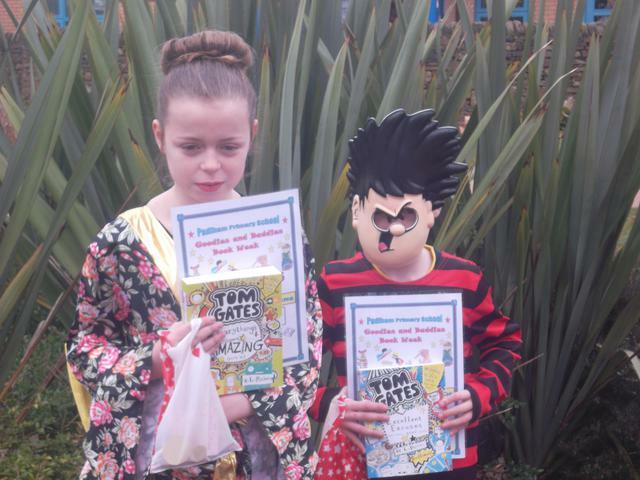 To celebrate the end of Book Week, children took part in a dressing-up day and two children from each class were chosen as winners for their wonderful costumes. Congratulations to everyone for their fantastic efforts. 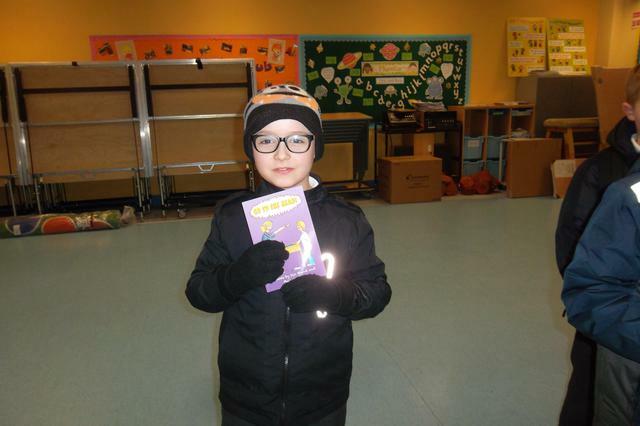 Because of the heavy snow last week, World Book Day had to be postponed until March 8th. Despite the delay, everyone made a fantastic effort to dress up in some wonderful costumes to celebrate this year's Book Week theme of Heroes and Villains. 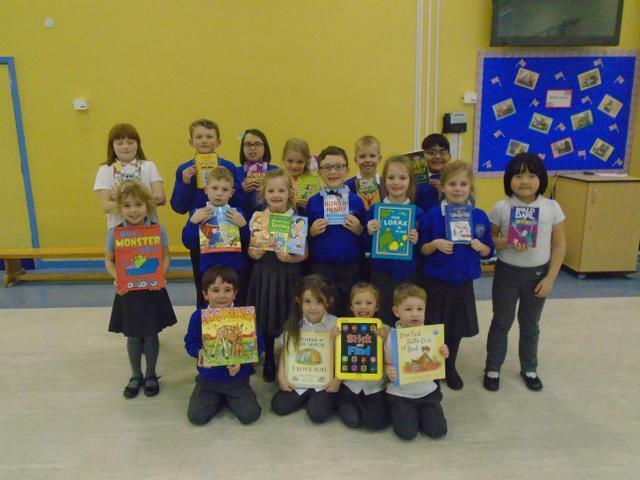 Congratulations to all our winners and keep on reading! As part of our commitment to promoting reading for pleasure, we invited Caroline from the School Library service to deliver a full day of storytelling in school. 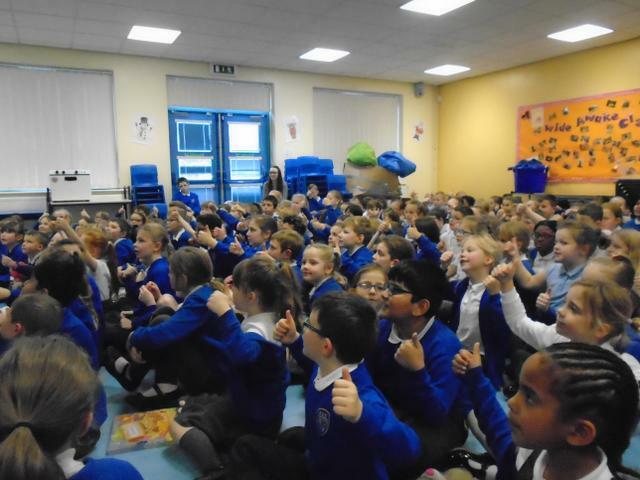 Every class had the chance to listen to Caroline read from a range of classic stories to inspire a love of reading. 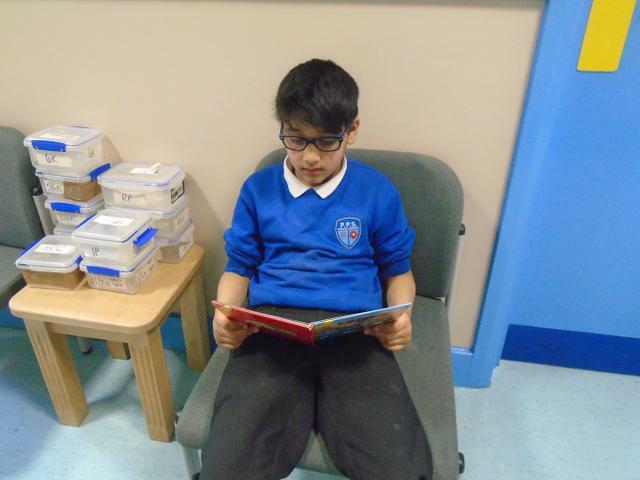 World Book Day takes place on Thursday, 1st March and to celebrate this national event, we are running a week-long event to promote reading for pleasure. The theme this year is Heroes and Villains and children in each class will be taking part in a range of fun, cross-curricular activities based around a book on this theme. 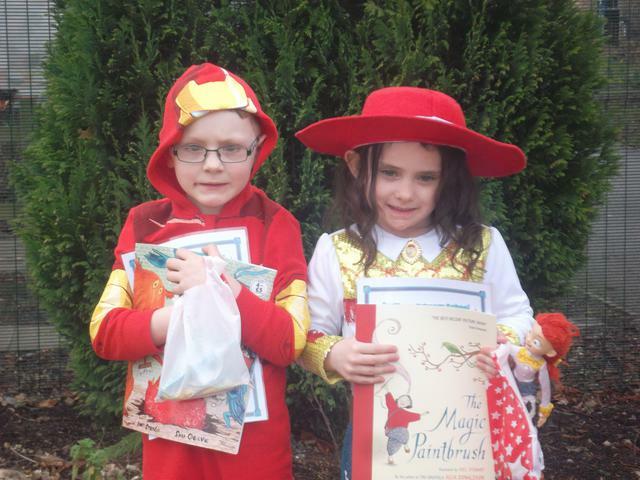 On World Book Day, children are invited to come to school dressed up in costumes that celebrate this theme: superheroes, pirates, knights, or characters from classic children's stories. 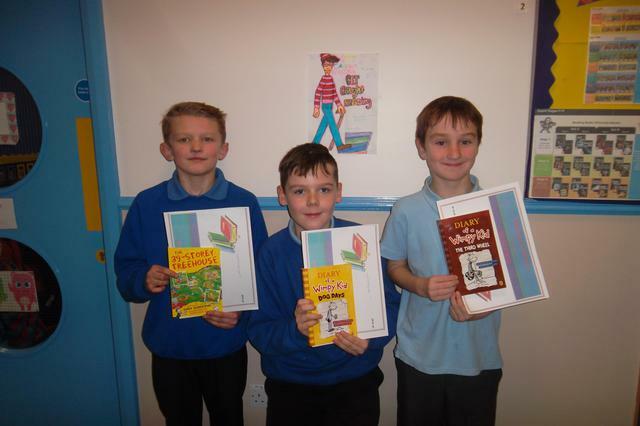 We will be holding a Book Fair commencing Monday,. 20th February so please come along. 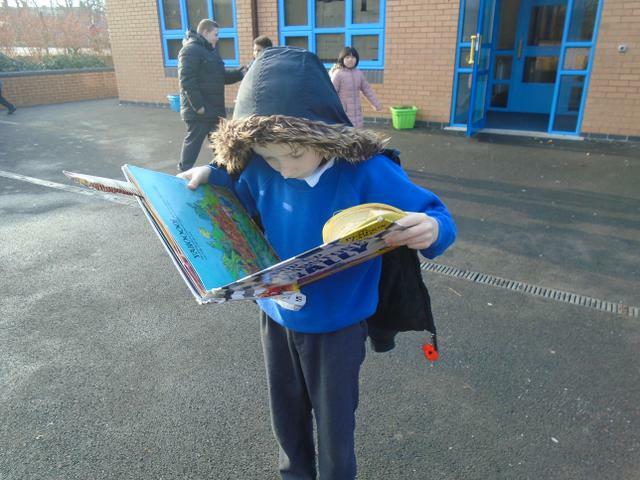 Lots of children were caught reading this week so well done to everyone. 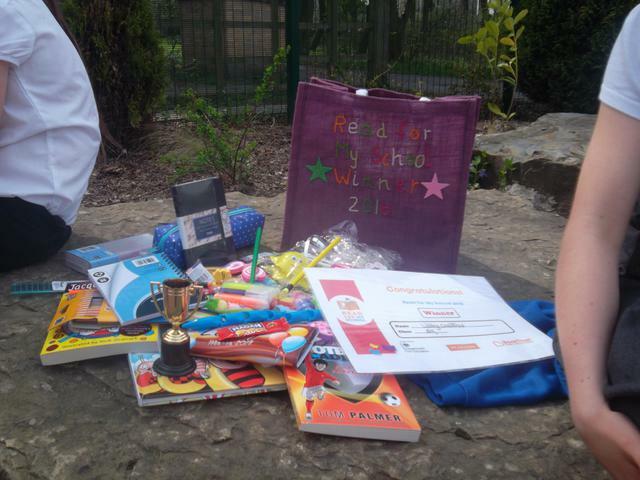 Congratulations to all the children who were lucky enough to be chosen as winners and received a book prize. Thanks to all the team who promoted and organised the event this week. 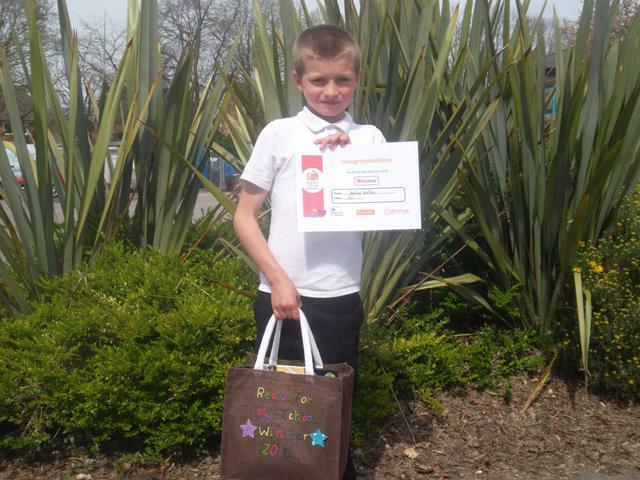 The Fantastic Book Awards (FBA) are designed to encourage children to read for pleasure. Children are encouraged to read the six books selected for our group during the spring and summer terms and vote for their favourite at the end of March. The group meets once a week to read and share their ideas. 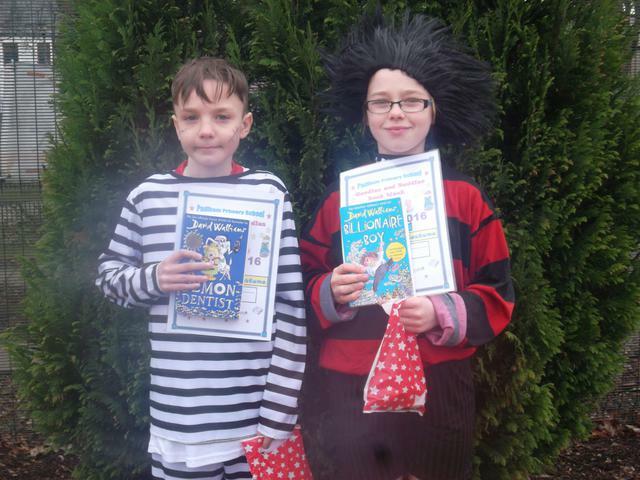 We had a fantastic week celebrating books in our spectacularly spooky Book Week. Children in each class took part in a range of exciting, cross-curricular activities based around the theme of Magic, Mystery and Monsters. On Thursday, the week concluded with a celebratory dressing-up day where children were invited to dress up in costumes related to the theme. 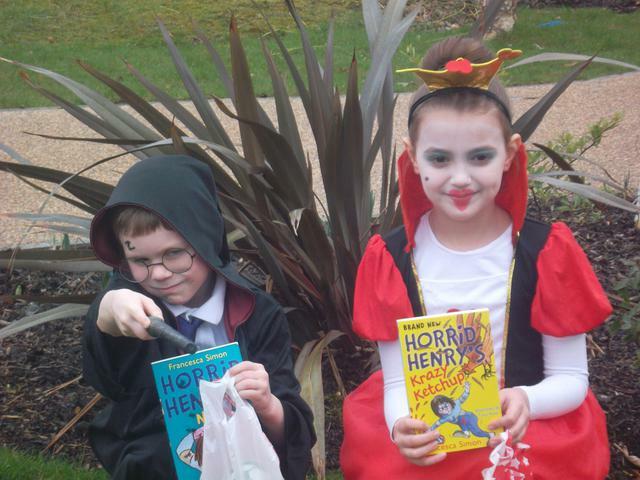 Everyone really enjoyed the day and looked fantastic in their costumes. 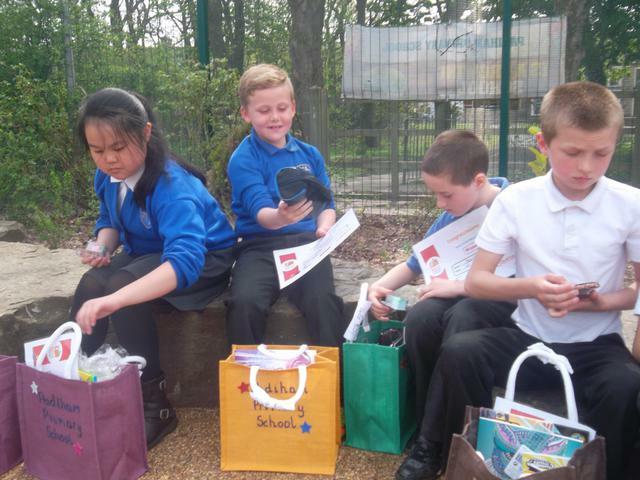 Two winners from each class were chosen to receive prizes for the most original costumes and each received a book and a goody bag packed with treats. 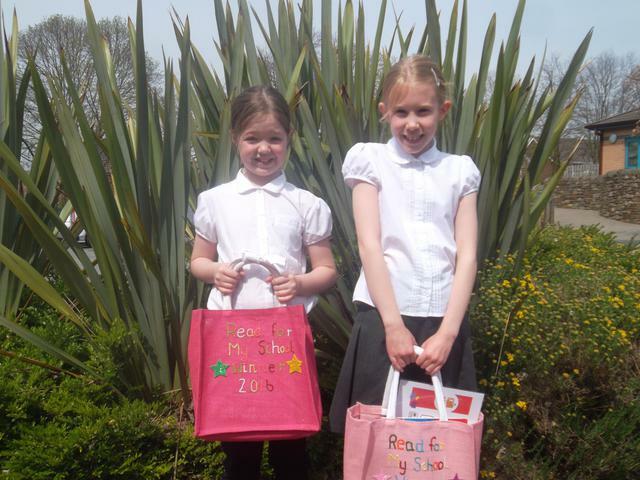 Congratulations to all those children who have read more than 60 books this year. 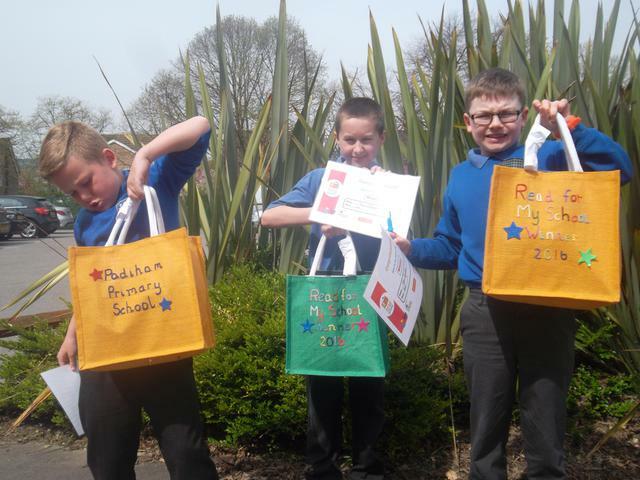 Here they are with their rewards for their enthusiastic reading. 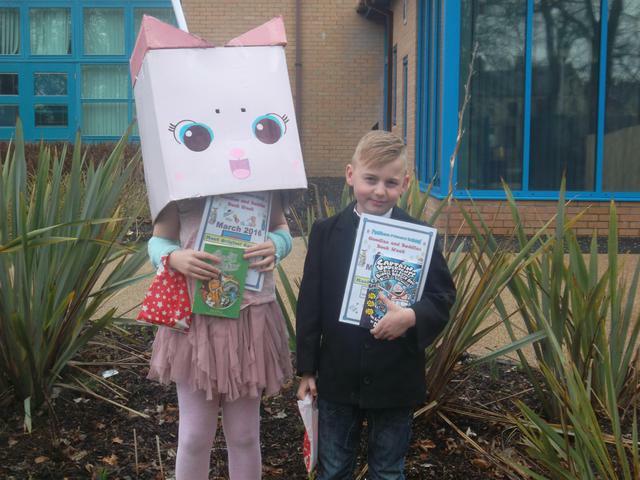 Well done to everyone for their fantastic costumes to celebrate World Book. 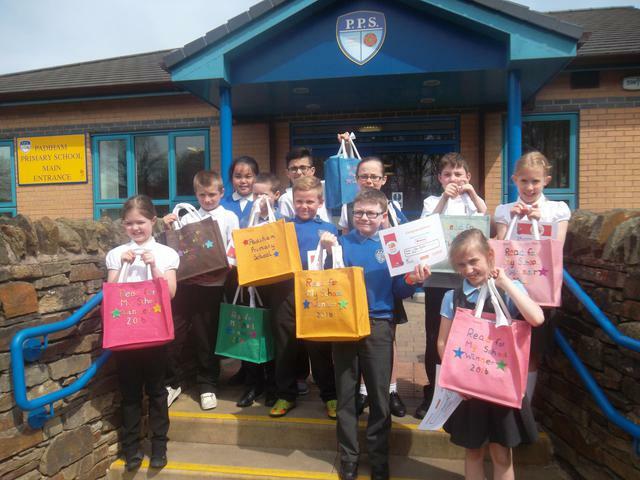 A special congratulations to those children who were chosen as winners and each received a poetry book and goody bag as a prize. 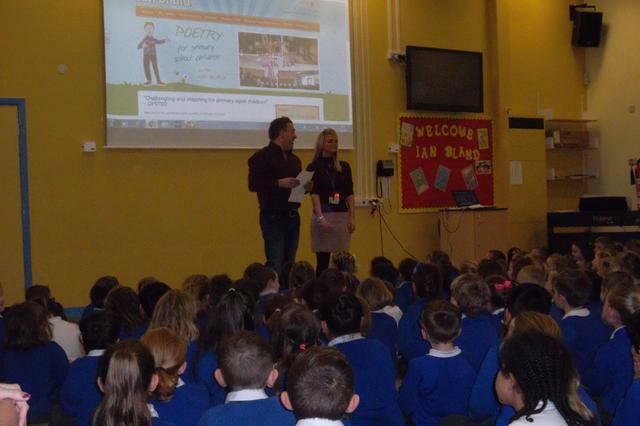 We had a fantastic day on Tuesday with poet Ian Bland. 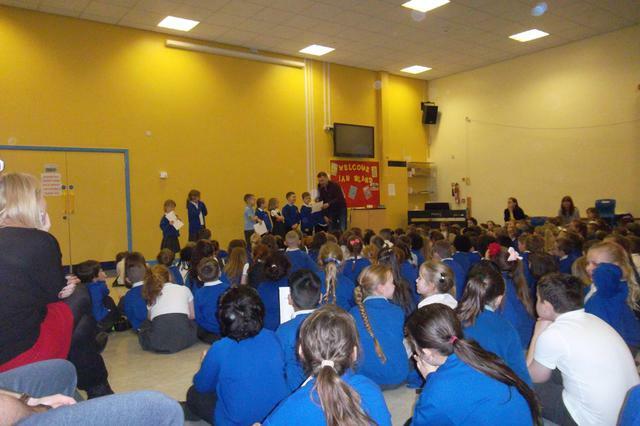 He started the day with an exciting and fun-filled assembly where he performed some of his poems to a delighted audience of children and teachers. Mr Purtill and Mr Dunderdale gave outstanding performances as angry teachers, and Miss White played her part brilliantly as the girl who stole Ian Bland's ten-year-old heart! 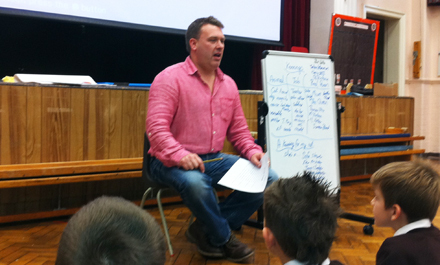 Throughout the day, Ian delivered inspiring poetry workshops, ranging from Kennings to poems with alliteration. The day finished with a performance by some of the children from each class showcasing the wonderful work produced during the day. 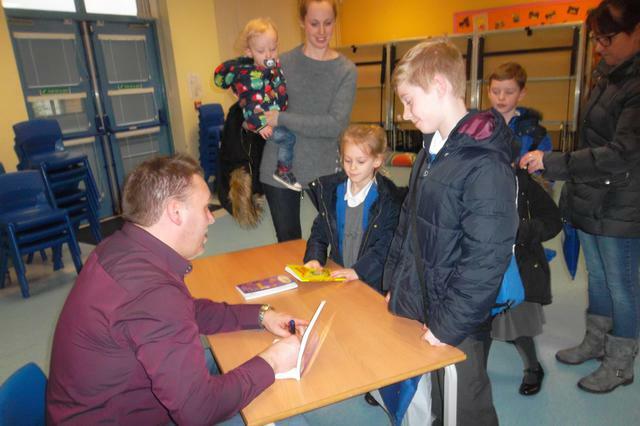 At the end of the day, Ian sold copies of his books to many very excited children who were busy reciting some of his poems as they queued up to meet him. Ian had a wonderful day and is looking forward to visiting us again. 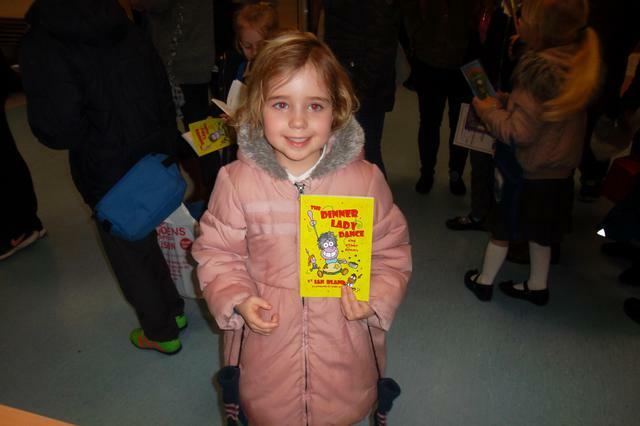 Book Week runs from Monday, 27th February to Friday, 3rd March. Our theme for Book Week this year is Silly Stuff, a celebration of poetry, nonsense verse and imagination. 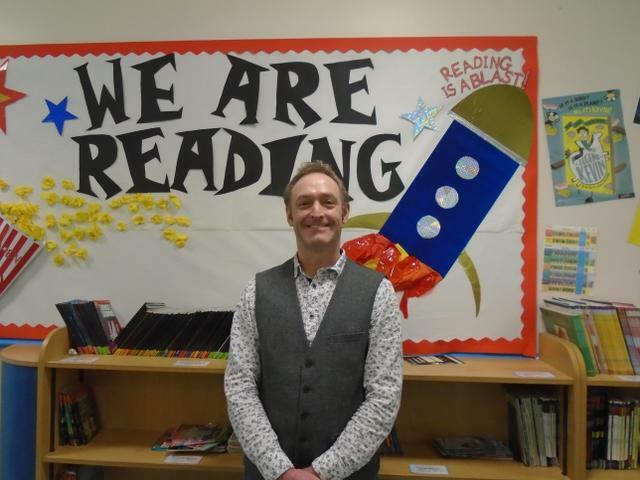 Children will have already been inspired by a visit from Ian Bland and library sessions on Poetry and Rhyming, covering classic poetry and new poetry. 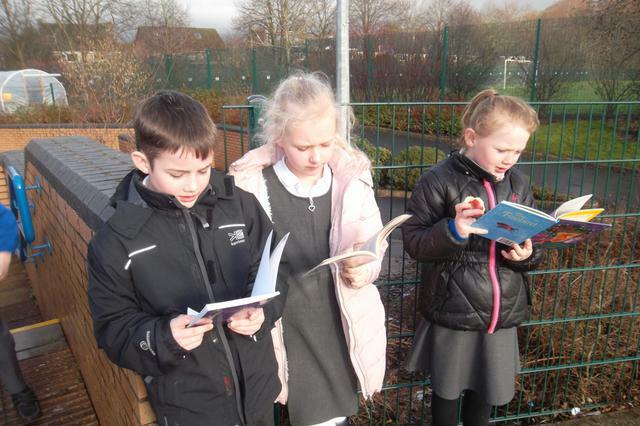 During Book Week, each class will have the opportunity to read, write and perform poetry and take part in a range of exciting and creative cross-curricular activities to enhance their learning and to promote reading for pleasure. On Thursday 2nd March, World Book Day, children are invited to come to school in costumes that fit the theme: inside out, back to front, mix and match - a world of pure imagination.Prizes will be awarded for the most original and creative ideas. 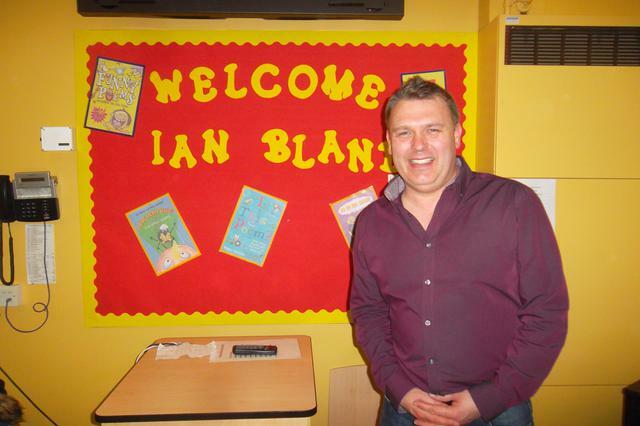 On Tuesday 23rd February, poet Ian Bland will be spending the day in school. He will start the day with an exciting and inspiring performance, which will be packed with rhyme, rhythm, fun and interaction with children and teachers. 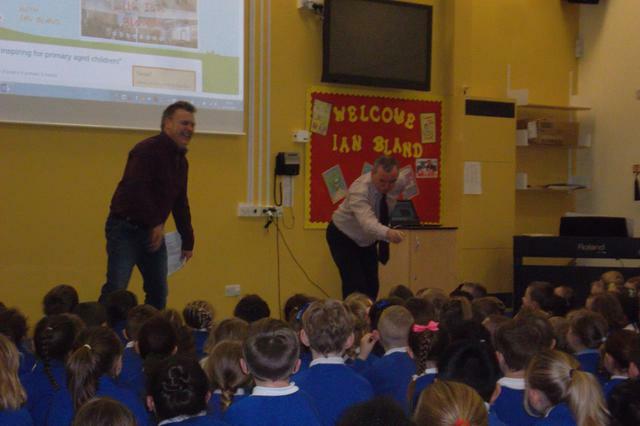 After the assembly, Ian will run workshops with every class in school, giving the children an opportunity to plan, write, edit and perform their own unique piece of poetry. 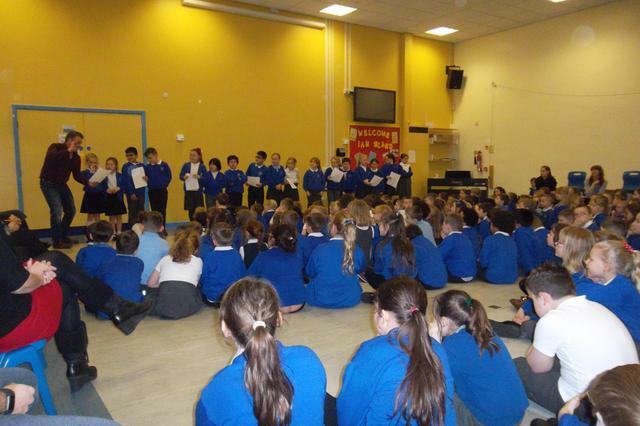 At the end of the day, he will lead a final celebration assembly where a small group of children from each workshop will perform their work for the rest of the school. Everyone is welcome to attend this event which will showcase the wonderful work children have done during the day. The books above will be available from Ian at the end of the poetry day and are all priced at £5.99. 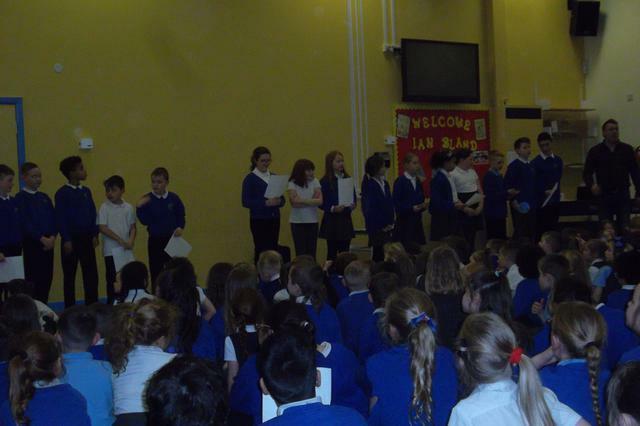 Well done to everyone for your fantastic reading this week. The Get Caught Reading boxes were overflowing with names! 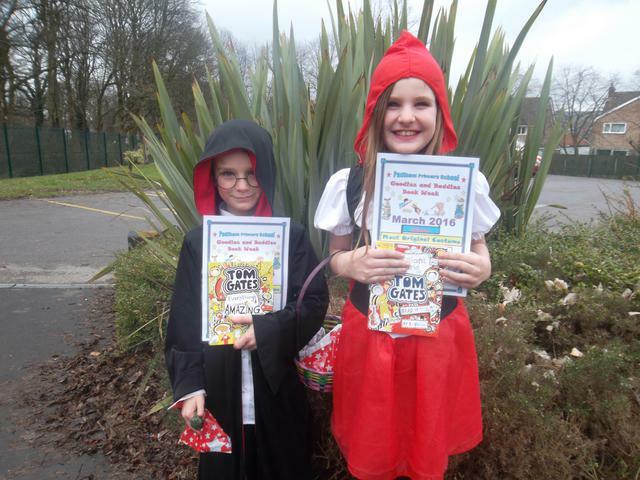 Two lucky children were chosen from each class and now have a lovely book to enjoy reading. Many thanks to the Get Caught Reading team who worked incredibly hard this week to organise the event. 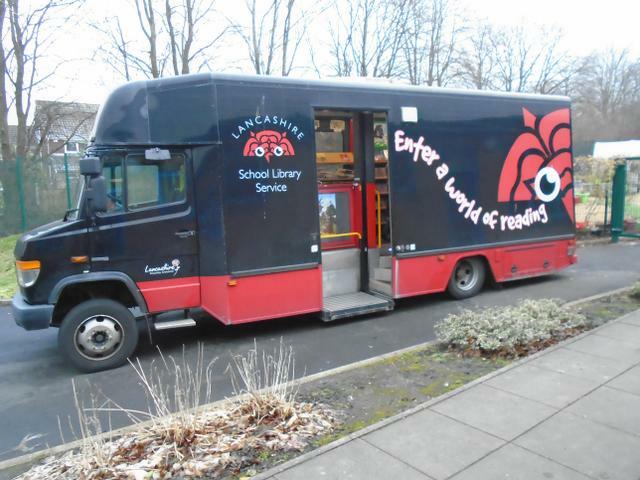 The Book Bus paid its annual visit to school. 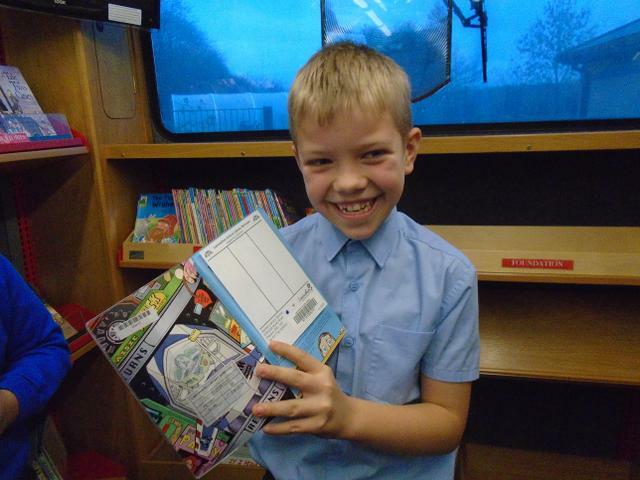 Children from each key stage got to spend an hour on the bus and choose some exciting new books to add to our library. 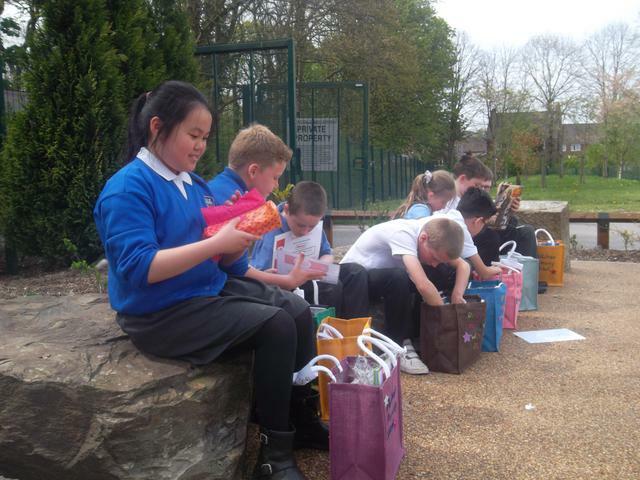 Children in each class had a fun-filled week packed with reading, writing and craft activities based around the theme of Magic, Monsters and Mystery. 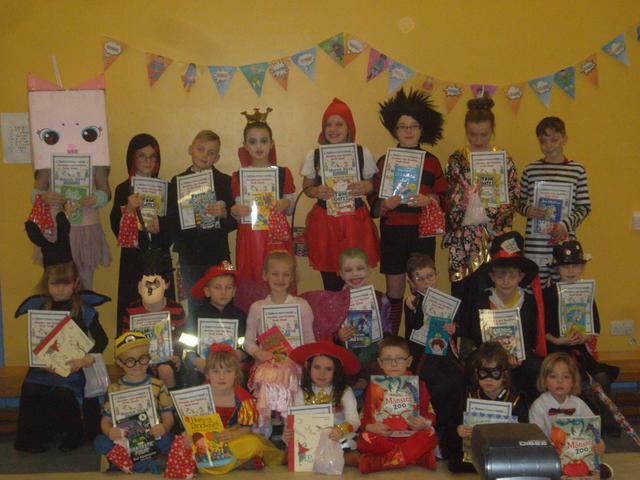 Well done to everyone for their fantastic costumes on Thursday and a special congratulations to the winners in each class, who each received a book and a goody bag. 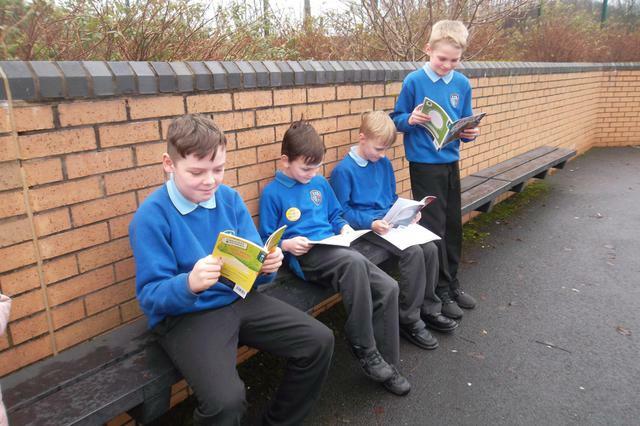 Well done to all the children in KS2 who have taken part in the Read for My School competition, which ran from January to April this year. 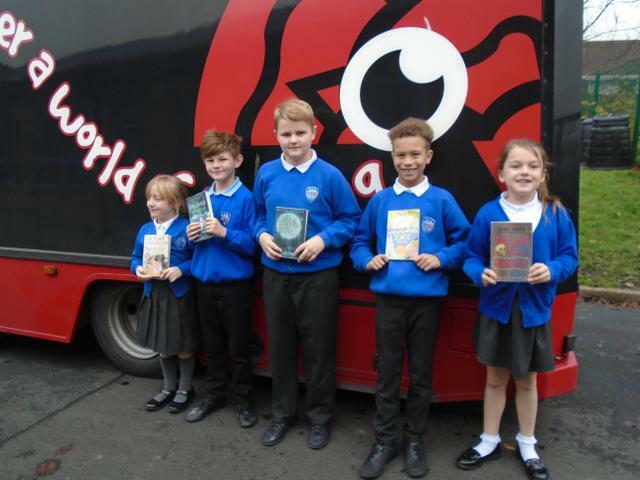 Read for My School is a completely free national schools reading competition that promotes reading for pleasure by challenging pupils to read as many books as possible in three months. Well done to everyone today. You all looked fantastic in your wonderful costumes. 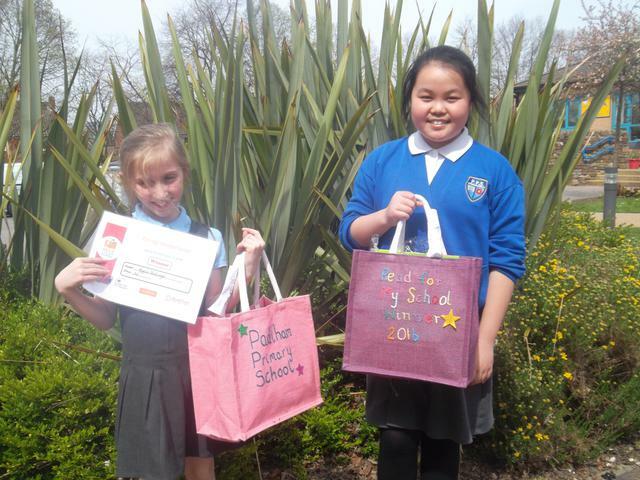 Congratulations to those children who were lucky enough to be chosen as winners in the fancy dress competition. 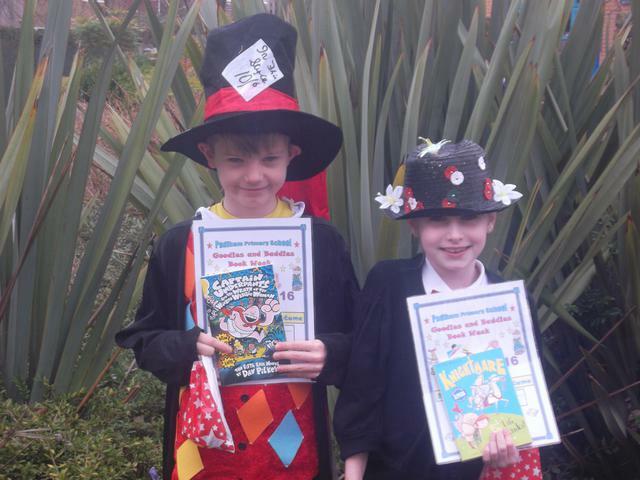 Book Week will run from Monday, 29th February to Friday, 4th March. Our theme this year is Goodies and Baddies. 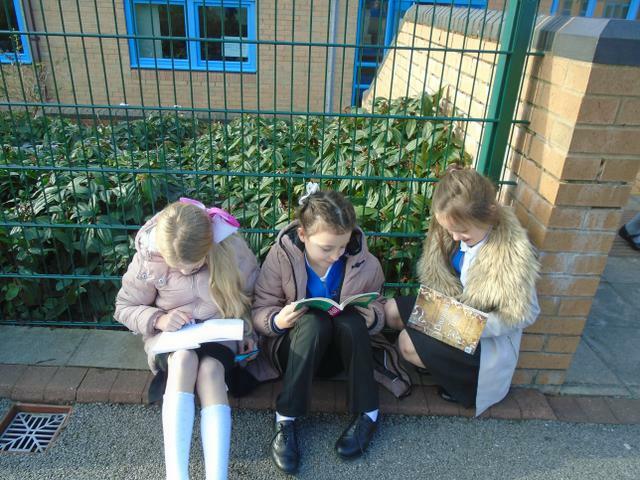 Children will take part in a variety of cross-curricular activities to promote reading for pleasure. 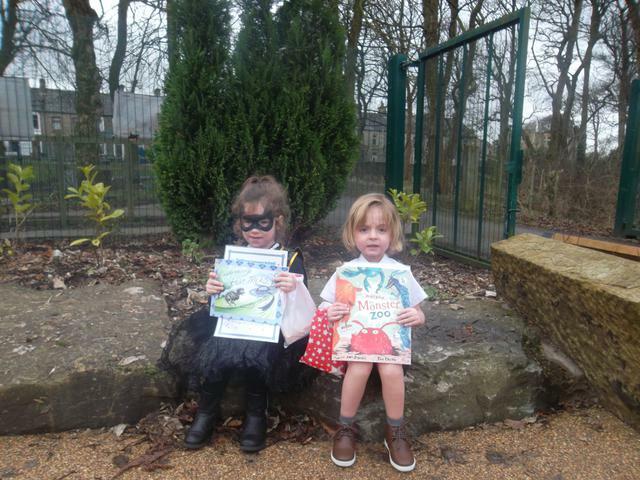 Thursday, 3rd March is World Book Day, and children are invited to come to school on that day dressed as a hero or villain or other character from a story. Have a look at our weekly newsletter to get some ideas for costumes. Prizes will be awarded for the most original costumes in each class. 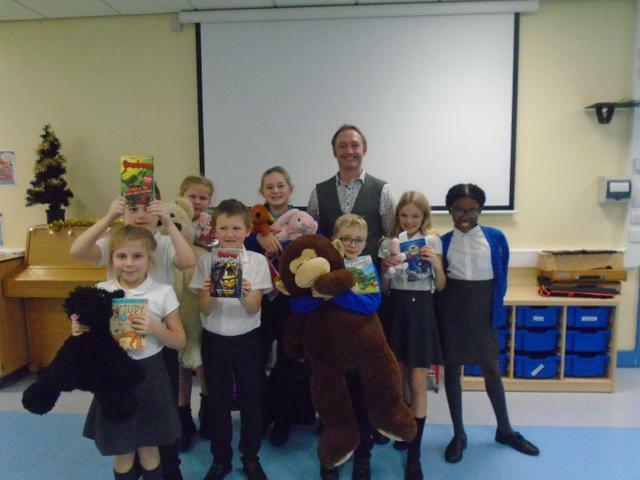 Congratulations to all the children who were lucky enough to be picked out as winners in the Get Caught Reading raffle. Enjoy your books and keep on reading! 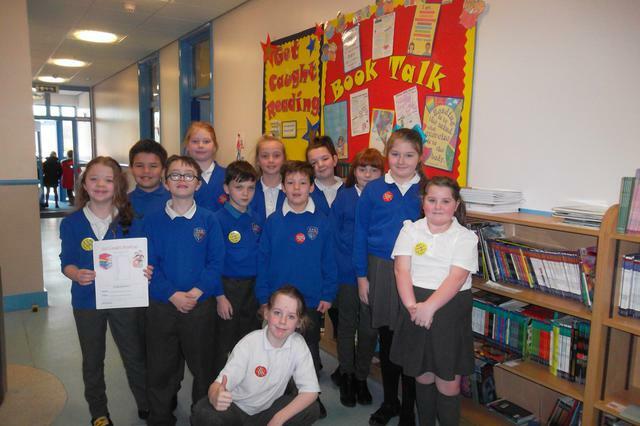 Well done to the Get Caught Reading team, who did a wonderful job organising the event in school and promoting the power of reading. 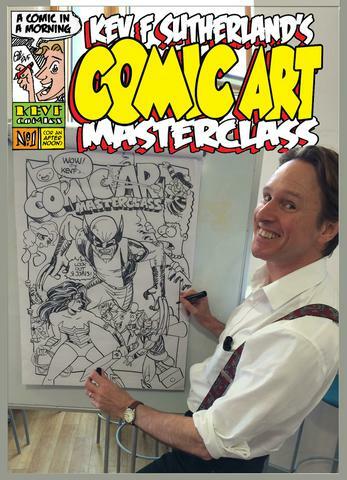 The children in 3/4R and 5/6B had a fantastic time this week taking part in Kev's Comic Art Masterclasses. There was great excitement and delight throughout the day and because the event was such a great success, Kev will be returning after Christmas to work with more classes in KS2. 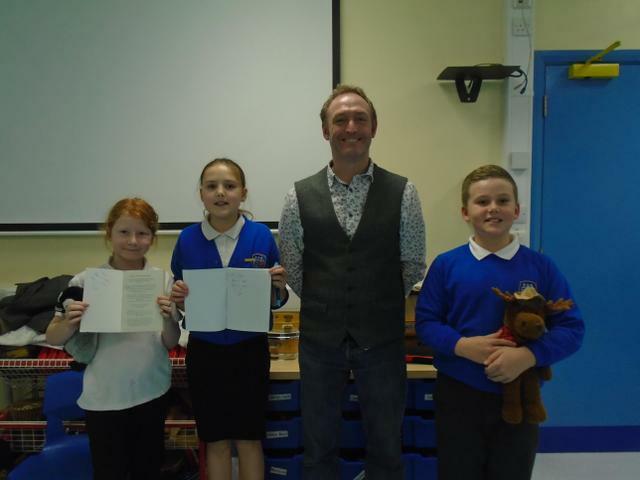 He himself was delighted by all the wonderful artwork and writing that the children had produced prior to his visit. 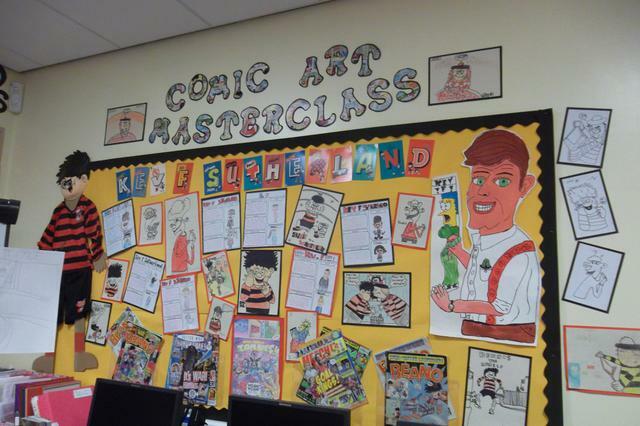 "Possibly the most flattering display I've ever seen greeted me as I entered the classrooms of Padiham Primary School this week. 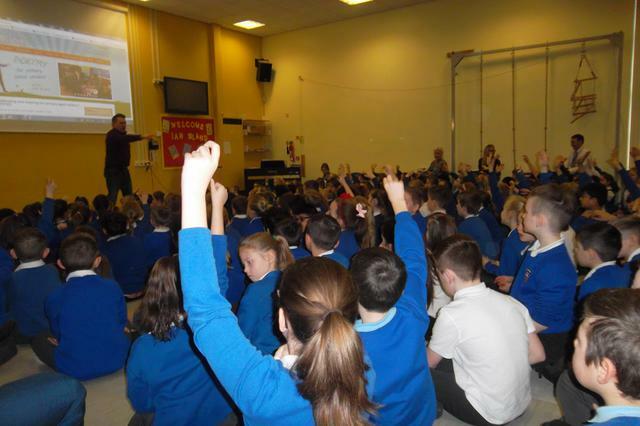 I shall have to prepare now to lower my expectations for the next schools I visit, and not be too surprised that nobody's ever heard of me or seen any comics I've ever done. 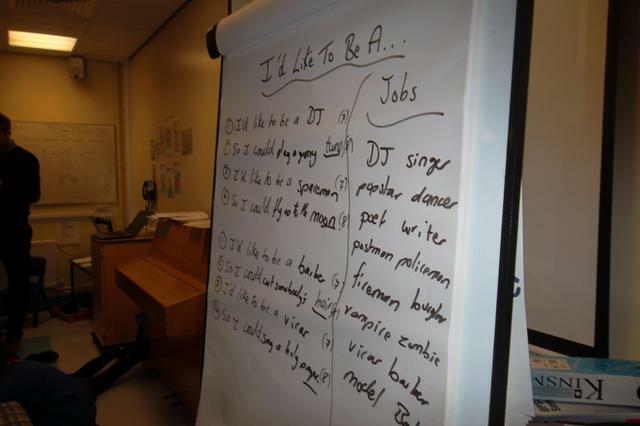 But I'll always remember that day when I was Kev F - World Famous In Padiham." 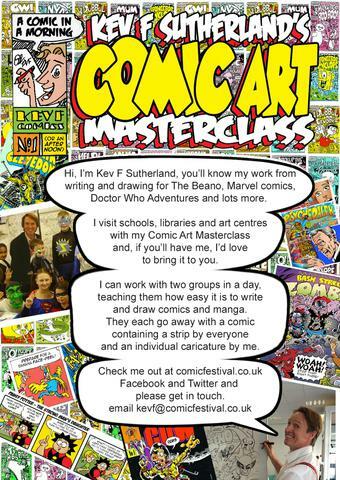 As part of our prize for winning the National Whole-School Reading Culture Award this year, we have the honour of a visit from Kev F Sutherland, the writer and artist for The Beano, Marvel and many other comics. He will be spending the day in school on Tuesday next week. 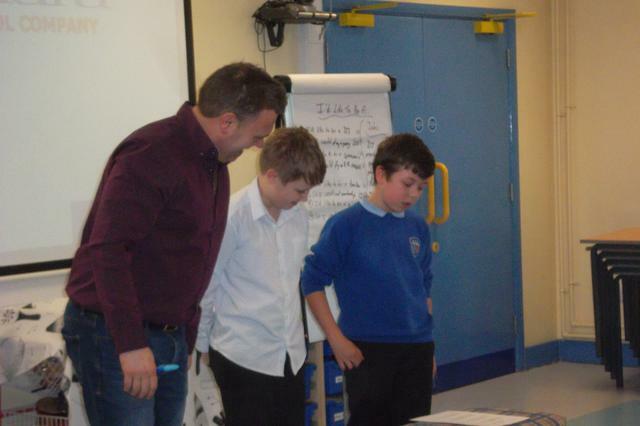 Kev will be working with 3/4R and 5/6B to teach the children all there is to know about making comic strips. 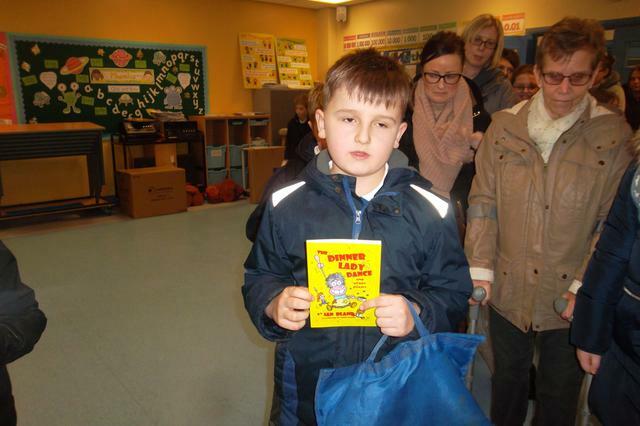 By the end of each session, the children will have produced a comic containing a strip by every single one of them, a copy of which they will take home. 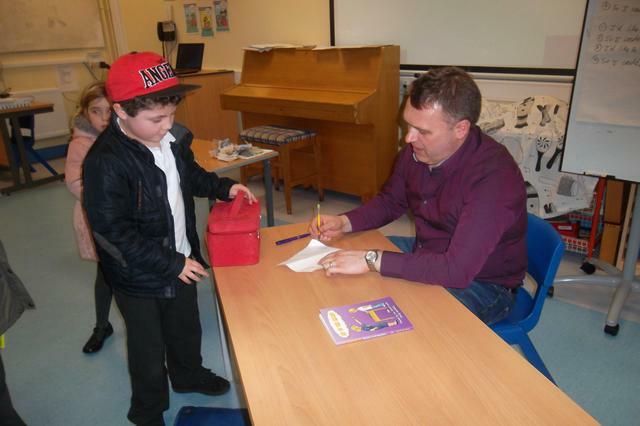 Kev will also draw a caricature of every child in both classes. 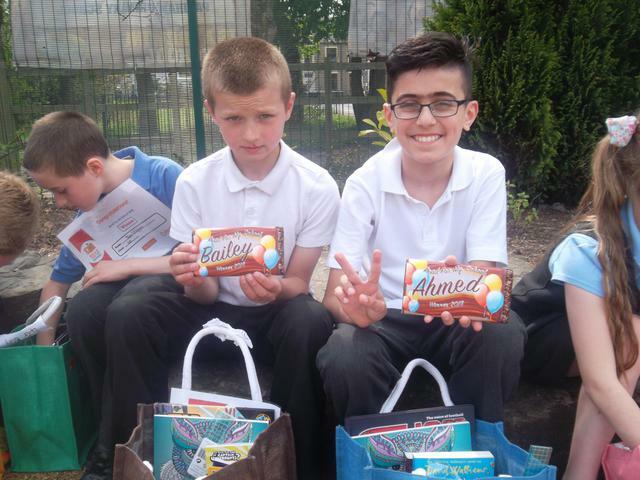 The Summer Reading Challenge Celebratory Event was held at Burnley Football Club, to reward children who took part in the Summer Reading Challenge. 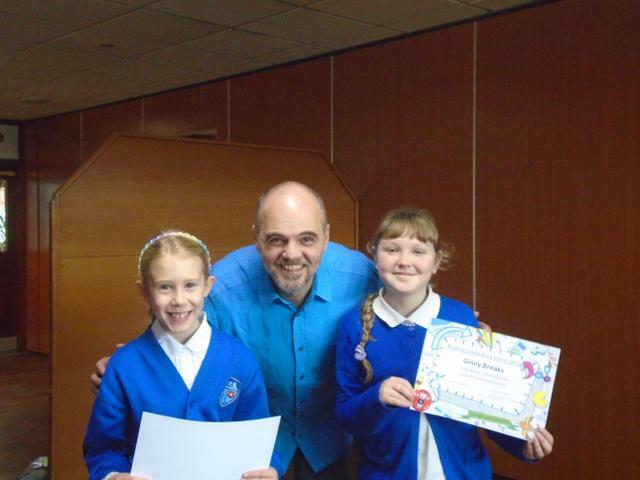 Emily and Ginny had great fun at the event and were awarded with their prizes and certificates by author, Steve Hartley.